From Korea to the Maldives, these digital stories show the mental, political and cultural impacts of war and immigration in ways you can’t unsee. If you’ve ever wondered anything about the American Civil War or the evolution of feminism in America, there’s an interactive timeline or video project or click-and-drag map for that. But digital projects involving the Asian diaspora are few and far between. Here, we’ve collected some of our favorites. The Seattle-based digital archive Densho has preserved hundreds of images images and more than 870 harrowing testimonies from innocent Japanese Americans who were incarcerated during World War II. According to the organization, Densho is a Japanese term that means “to pass on to the next generation” or to leave a legacy. And that’s exactly what they’re doing. Densho goes beyond Farewell to Manzanar to show the real impact of this shameful page in American history, when U.S. citizens were denied the rights the constitution promises them. “The story of how racial discrimination against Japanese Americans led to World War II incarceration is especially important now as we grapple with contemporary issues surrounding racial profiling, terrorist threats, and the infringement of civil liberties in the name of public safety,” Densho’s site says. These questions remain relevant as ever. The South Asian American Digital Archive has produced an amazing array of audio stories of immigrants’ first days in the U.S.
SAADA launched First Days in 2013, originally focusing on the South Asian diaspora’s immigration experience, but have since expanded to collect more than 250 stories of immigrants who left behind lives everywhere from Jordan to Canada to Brazil. You can search the archive by the state immigrants arrived in, the countries they left, and the year they arrived. Interested in joining the project? Record your own story or join as a volunteer reporter. Over the course of 15 years, this crowd-funded digital archive has preserved more than 2,000 eyewitness accounts of the survivors of one of the greatest forced migrations in human history. Volunteers have traveled across the Indian subcontinent to collect heart-wrenching oral histories of the regions’ 1947 split, a plan brokered by the departing British colonialists and resulting in countless rapes and broken families. “That segment of the population is disappearing really, really fast,” executive director Guneeta Singh Bhalla told Dawn. “Within the next five years the vast majority of what’s remaining is going to be gone.” And that’s what makes the California-based team’s preservation work so critical. PBS’s First Days video project was inspired by the Academy Award-nominated film Last Days in Vietnam, which tells the moving tale of the Vietnam War’s last hours during the fall of Saigon in 1975. 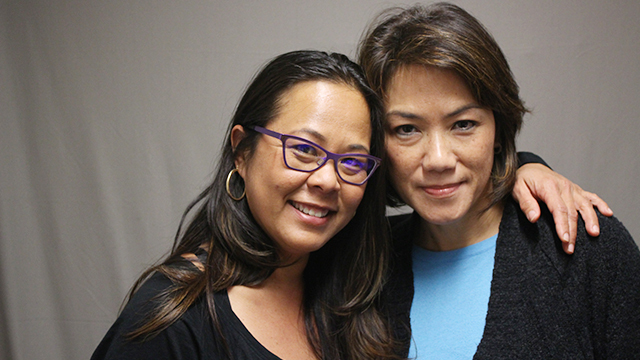 PBS worked with StoryCorps collect the stories of more than 200 Vietnamese American refugees and Vietnam veterans. “Our family will die at sea, or we will make it to freedom,” one woman recalled thinking. “I wanted so much to erase and become American,” another interviewee said. Each 40-minute interview is a striking testament to the resilience of the survivors. These stories show the heavy mental, political and cultural impacts of war and immigration in a way you can’t close your eyes to. This crowdfunded photographic project, the result of a year and a half of work, aims to show the world the disappearing cultural heritages of the Philippine archipelago’s diverse indigenous peoples. There are more than 100 recognized indigenous groups left in the Philippines today. In the Philippines, indigenous peoples are legally protected but have been marginalized historically from political process and from economic benefits. They often loss of ancestral lands, displacement, and erasure of traditions and culture. Katutubong is the Tagalog word for “native” or “indigenous,” and the project has covered the Cordilleras, Mindoro, Palawan Tribes, Aetas, Badjao and Lumad Groups so far. For history nerds and podcast fans, here’s a “tour through the rich, dramatic and often tragic history of the Korean Peninsula,” from ancient times to the 20th century. The podcast, which traverses everything from the region’s basic geography to the folk symbolism of Korean hairstyles to early Buddhism to military history, is hosted and produced by Seoul-based history fan Alex Hawkins. I’m told his Korean pronunciation is cringe-worthy, but I enjoyed the narrative of the episodes I listened to. The show has been going on since early 2011, and it’s looks like it’s been on an indefinite hiatus for a little over a year now. But the 47 vibrant and detailed episodes on iTunes are still worth a listen. When it comes to history, old is gold, right?